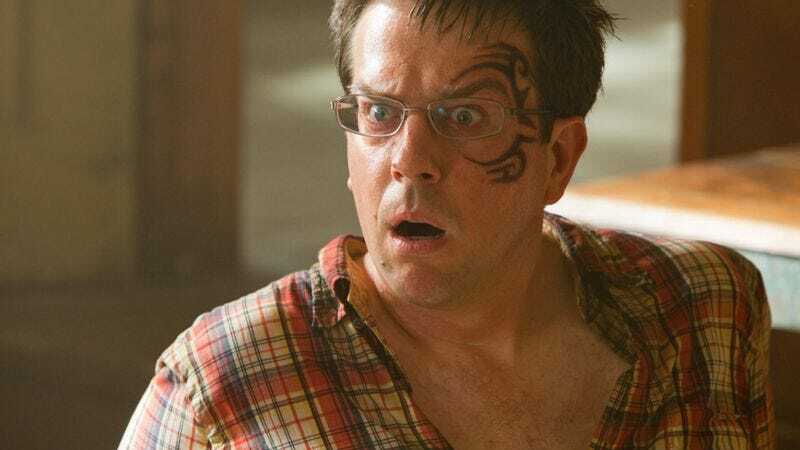 Although the court has still yet to rule on whether S. Victor Whitmill is owed damages for Ed Helms’ Mike Tyson-mocking face tattoo in The Hangover Part II, its decision won’t affect your potential enjoyment of the sequel this weekend. A federal judge has declined to halt the release of the film until Whitmill’s claims could be settled, after Warner Bros. executives argued that the injunction would cause the studio "irreparable harm," in addition to hurting all of those theater owners counting on its Memorial Day receipts—and what are they supposed to do, tell people to see Bridesmaids again? Suggest Midnight In Paris? Don't be fatuous. Anyway, despite being “disappointed” that they couldn’t ruin moviegoers’ weekend plans, Whitmill’s attorneys said in a statement that they were pleased that the judge hinted at a “strong likelihood of success” of their continuing infringement suit, saying that they looked forward to settling the matter soon with “a permanent injunction preventing further distribution of the movie." Or, you know, millions of dollars in a large bucket, whatever would be most convenient for Warner Bros.